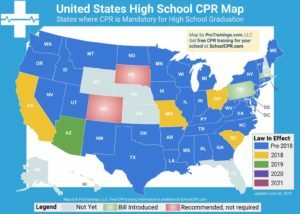 In Iowa, CPR and First Aid training is required, but only for P.E. and Health teachers. 137/138 — Health. K-8 and 5-12. Completion of twenty-four semester hours in health to include course work in public or community health, personal wellness, substance abuse, family life education, mental/emotional health, and human nutrition. A current certificate of CPR training is required in addition to the coursework requirements. For holders of the family and consumer science or physical education endorsements: 18 semester hours to include the same course work and requirements as listed above. 146 — Physical education K-8. Completion of twenty-four semester hours in physical education to include course work in human anatomy, human physiology, movement education, adaptive physical education, personal wellness, human growth and development of children related to physical education, and first aid and emergency care. 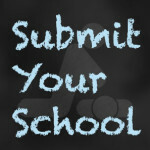 A current certificate of CPR training is required in addition to the coursework requirements. 147 — Physical education 5-12. Completion of twenty-four semester hours in physical education to include course work in human anatomy, kinesiology, human physiology, human growth and development related to maturational and motor learning, adaptive physical education, curriculum, assessment, and administration of physical education, personal wellness, and first aid and emergency care. A current certificate of CPR training is required in addition to the coursework requirements.